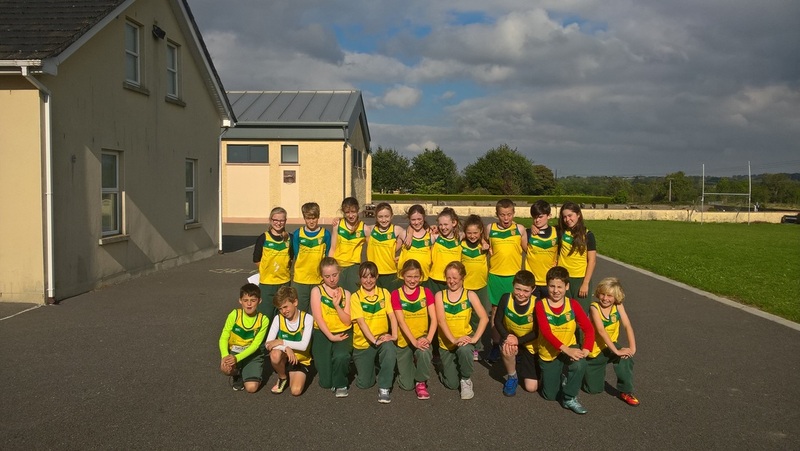 On the 5th of October 2016, pupils of St. Andrew’s National School competed in a cross country athletics race in Santry Demesne, Dublin. In the weeks prior to the event, the athletes trained hard with Mrs Ronan to prepare for the day. We had four teams in the competition; 5th class girls’ and 5th class boys’ teams, as well as a team from 6th class in both genders. The morning of the race dawned and the runners were ready for action. We arrived at the park early to check in and collect our numbers, and then walk the 1 kilometre course. At 12.00 the first races began; our 5th class girls ran well with two top ten finishers, Niamh Murphy and Lauren Fewer, with all runners from the school coming home in the top forty. Our fifth class boys also ran out of their skin; Christopher Conlan fell twice but kept running, and all of our team had brilliant sprint finishes to move up an extra few places. 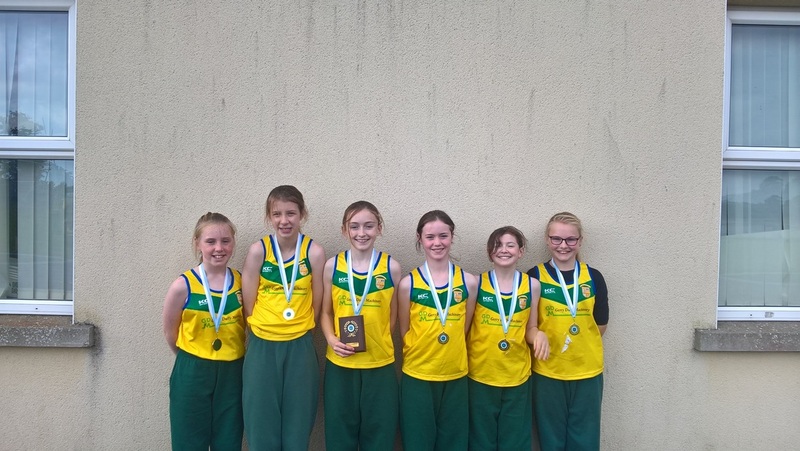 Next came our sixth class girls team; Sophie Quinn came home in 1st place, Eabha Toole in 9th, Hannah Keogh in 12th , Emily Heather 16th, followed closely by Kate Horgan and Emma Jane Cleary, earning these girls the team gold medal. Last, but not least, were our 6th class boys. Callum Warren was first home for Curragha in 15th position. There were great runs also from Jamie Fewer, Johnny Cahalan and Alex O’Shea. All ran superbly. A great day was had by our whole team. We owe a huge thanks to Mrs Ronan for all her hard work and support. Next year, the school will be back for more medals! On Monday 24th October 2016, a group of boys and girls from 3rd and 4th class travelled by bus to Gormanstown to take part in the Futsal Tournament. The first boys match was a one all draw, the starting line up was Nicolas in goals, Eoghan and Dylan in defence, PJ in midfield and Jared as striker. Christopher came on for PJ half way through the game. We won our second and third games. The final game in the group stage was a 12 - 2 victory for St Andrew's Boys that put us in the final. We played a very good game and won the tournament with a very impressive 5 – 0 victory. Lots of goals were scored by the St Andrews Boys team with our top scorer Christopher scoring 24 goals, and only conceded 3 goals in the whole tournament! St Andrews Girls played very well too and finished second in their group which meant they narrowly missed getting into the final. All of the 4th class girls played as well as 2 girls in 3rd whose names came out of the hat to join the squad. We all had a great day! On Thursday the 13 of October 2016 St.Andrews National School camogie team won their match against Longwood. By the end of the first half we were winning by 5 goals Shauna scored 2 goals and I scored 3 goals. In the second half it started to rain but we kept going and scored 3 more goals Sophie, our captain scored 1 goal and I scored 2 goals. Our defence was very good as they stopped Longwood from scoring. The total score at the end was 8 nil - we won!! After the match we went back to our school to change out of our wet gear as did Longwood. Phoebe got the 'Spirit of the Match award. We all had great fun. St. Andrew’s school had a great start to the Inter School’s Show Jumping League for Primary Schools which takes place over 6 dates during the winter months at Killossery Lodge Stud in Rolestown. The first round was held on the 9th of October and what a wonderful, exciting day it was - even the sun was shining. Our team of Hannah Keogh riding Sugar, Ellie Nolan on Teddy, Grace Toole on Felix and myself on Ted beat 8 other schools to come in 1st Place. We won some lovely rosettes and the ponies got rugs too! We had some good individual performances also by Kirsty Greene, Ellie Rowland, Phoebe Horgan and I also won the individual competition with a super quick time against the clock riding Ted. The second round took place last Sunday and St. Andrews had another successful day with our teams finishing in 4 th and 6 th place and some individual places also! The teams all rode brilliantly and it was nail biting at times with everyone cheering each other and their ponies on! St. Andrew’s Red Team consisted of Hannah, Éabha, Ellie and I and Emily, Phoebe and Grace who just narrowly missed out qualifying for the jump off, rode for the Blue Team. We are now currently lying in joint 1st in the School’s Team league and 1st in the individual competition. Fingers crossed we will continue to do well - Watch this space!! !